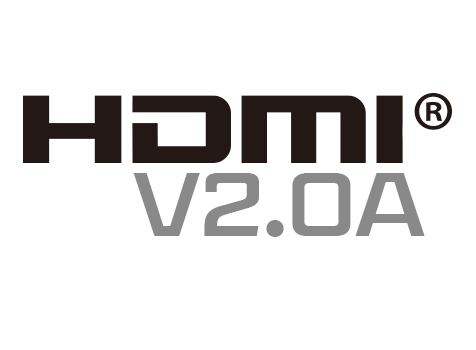 The HDMI Forum, a non-profit entity, which oversees HDMI specification, recently announced its upgraded version 2.0a. The latest version of the specifications will regulate the functioning of the commonly seen cables that connect almost everything in any home entertainment center. The upgrade may appear minor, but it is highly important. The main point to remember is that there is no change in the cable. It means you do not have to replace your present HDMI cables. A majority of these changes are in the realm of chips located inside TVs and also the source devices, and not cables themselves. The cable, for its part, is simply a connecting wire. There will be no change in the quality if the data passing through the cable is a high-def video, 4K video or standard def video. The data can also be HDR, 720p or 2160p – any number of variations with plenty of zeroes and ones. There is an even possibility that the HDMI 2.0a will be mentioned on many TV specification sheets. The change concerns only the High Dynamic Range or HDR content. It is not equivalent to the camera HDR. When the HDR term is applied to televisions, it means better, realistic images due to improvements like brighter whites. The concerned TVs must also be compatible with the specialized content and source devices. According to the HDMI Forum press release published on April 8th, the specifications were updated to permit HDR format transmission. It will result in better quality of pictures by the simultaneously enabling greater detailing for both bright and dark portions of any image. The updates related to HDR are inclusive of references to CEA-861.3. It is the last published update of CEA related to HDR Static Metadata Extensions. To put it simply, the change relates to the specifications on the technique to transmit the HDR metadata. It is the information which is layered on the top of the video. It also informs about the most HDR-compatible display to take the advantage of brighter colors and the contrast range in any underlying image. To give an example, a 4K Blu-ray player in a theoretical future could take a shadowy scene in a dark village and “instruct” the display on the method of rendering it in HDR-enhanced form. It is to be noted that the specifications does not regulate the direct streaming connections from internet to TV, like HDR from Netflix or Amazon. It does only from HDMI sources. This is because the streaming connections jump entirely over HDMI, permitting direct communication between the decoder of the TV and the Internet. These connections generally use VP9 or High Efficiency Video Coding compression for the 4K video. The principal takeaway in this matter is that the HDMI 2.0a is exclusively relevant to higher end and newer televisions which display HDR content. The list of such TV models include Vizio’s Reference series, a few Sony XBR models, Samsung’s SUHD line and the Panasonic CX850. Since other televisions, including a majority of 4K and non-4K TVs announced in 2015 are not capable of handling HDR, they wont benefit from HDMI 2.0a. It may also not be useful for HDR signals, either through HDMI or any other technology. The HDMI 2.0a cannot be regarded revolutionary for now. It will not affect much at present. However, the future might tell a different story. HDMI 2.0a might be in demand in a few years. Right now, it does not imply that you need to change the wiring, shape and size of your HDMI cables. If you buy devices compatible with HDMI 2.0a, they will work perfectly with your existing cables. Since HDMI 2.0a is also compatible with the older versions of HDMI, it is possible for you to connect your AV receiver or Blu-ray player to a cutting edge HDMI 2.0a fitted 4K Ultra HD televisions without any problem.